Access All Areas members have a brilliant new premium design resource to download this week, courtesy of Carlos Fernando. This bundle of business card templates for Adobe Illustrator includes 100 minimal designs to help you produce great looking business cards with ease. Every ready-made design is fully editable, so you can edit the text, change the font and swap the colours to generate unique designs every time. Each template is ready for print with a 3.5×2″ final print size, bleed guides and CMYK colour mode. Carlos Fernando is a freelance graphic designer based in London. He creates a range of quality design template products on his Creative Market store, ranging from collections of ready made logos, flyer templates, newsletter templates, company brochure templates, and branding & identity mockups. Every item features a nice clean design that can be tailored to suit various types of projects and is easy to customise and modify. 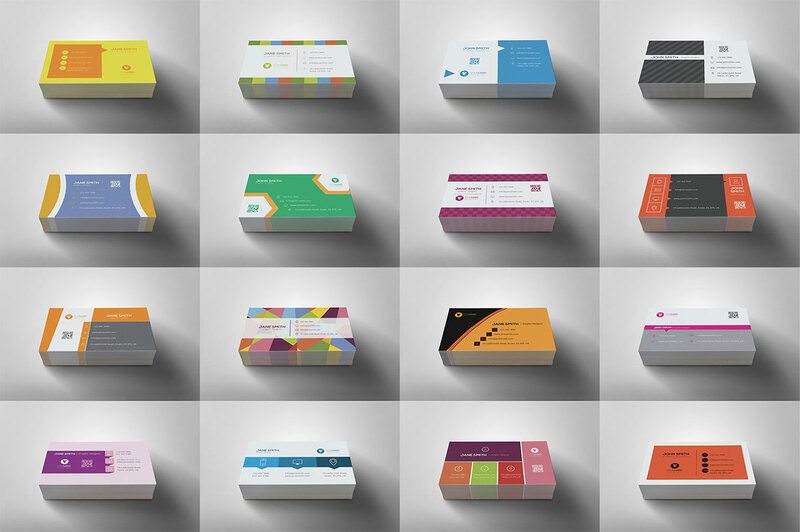 This huge bundle of 100 business card templates can be downloaded by Access All Areas members as part of their membership. Files are available for Adobe Illustrator version CC 2014 and EPS 10, which is the better option for older versions of Illustrator. Links are provided in the enclosed help file to download the free fonts used in the default designs. Geoff, with all due respect, I don’t think you’re seeing the big picture here. Each of the cards contains hi-res design elements that can be isolated and brought into other documents, rather than creating them from scratch. The set is a veritable cornucopia of graphics goodies – whether you use them for business cards or not. Thanks, Chris. When you’re right, you’re right. You had me at veritable cornucopia. Thanks for the wonderful collection. Hopefully will use so of these. I have been creating some elegant designs Do check out mine when you get time. Lovely collection Chris. I am going to use some of them for sure. Thanks! Good work Chris, they are awesome. loved all of them. Amazing design bundle. I have also some design template. Thanks for this bundle. Looking good! It’s a shame they are the american business card size, though they are designed in illustrator so shouldn’t be too difficult to change. 85mm by 55mm is the standard UK business card size with a 3mm bleed. Not gonna lie…your site usually has some great work…these cards are mediocre at best.